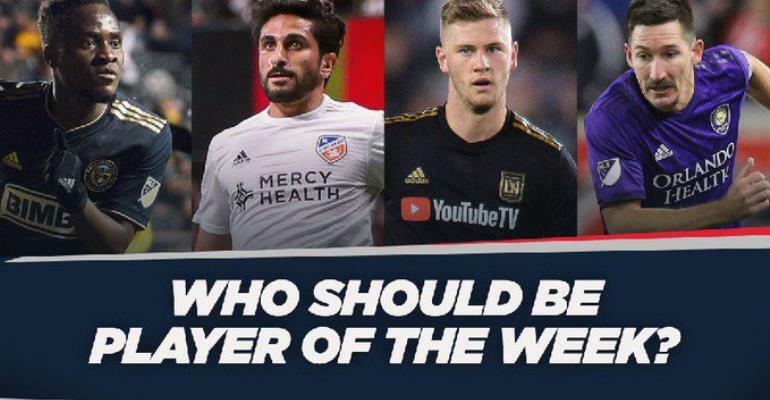 David Accam has been shortlisted for the Major League Soccer Player for the Week after inspiring Philadelphia Union to a 3-0 win over Columbus Crew on Saturday. The Ghanaian striker scored a brace and dedicated to his father as Union defeated the Gold and Blacks to record their first win of the season at the Talen Energy Stadium. The 26-year-old is up for the award against Kenny Saief of FC Cincinnati, Los Angeles FC midfielder Walker Zimmerman and Orlando City’s Sacha Kljestan.